The purpose of this procedure is to provide guidelines to effectively develop and communicate a workplace health and safety policy statement within Chris Hoole Painters. This procedure applies to all employees of Chris Hoole Painters, visitors including contractors, volunteers, work experience students, trainees and the public. WH&S Policy Statement is a general statement of management's intent and expectation on the importance of WH&S for the business. Supervisor is a person in control of a workplace (e.g. Supervisor, Ganger, Leading Hand or Team Leader). Developing and issuing a principal, WH&S Policy Statement by management is an important component of a WH&S Management System. The WH&S Policy Statement is designed to accept responsibility for WH&S of employees and is expressed as management's goals, responsibility, accountability and participation in WH&S. Include the WH&S Policy Statement in the WH&S Manual. 5. The WH&S Committee and management are to formally review the WH&S Policy Statement at predetermined intervals or when there is a change of CEO, to ensure its correctness and effectiveness. 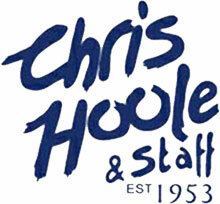 Chris Hoole Painters is committed to providing a safe and healthy working environment for our employees and for contractors and visitors to the workplace. Adopting and promoting the provisions of the Workplace Health and Safety Act 1995 and its associated Regulation, Codes and Standards, together with significant importance placed in the areas of hazard / risk management and injury prevention strategies, will achieve our WH&S Objectives. Our primary WH&S objective is to eliminate or reduce risk by developing proactive strategies and adopting a risk management approach to WH&S in order to provide an injury/illness free workplace. We understand that creating and maintaining a safe and healthy working environment is a major part of our overall responsibilities, and that all employees with management or supervisory responsibilities are accountable for the health and safety of employees and visitors in their respective work areas. In conjunction with this policy, individual Safe Work Procedures, guidelines and standards will be prepared in consultation with relevant employees and issued. We expect all employees, contractors and visitors to our workplaces to follow safe work practices as prescribed under the legislation and in our Policies and Safe Work Procedures, and that they make every effort to reduce the risk of injury to themselves and others. We will provide adequate resources to manage and maintain health and safety together with regular training on workplace health and safety, and expect our employees to attend. Workplace Health and Safety is important and we all have an obligation to ensure that we have a safe and healthy working environment and we encourage you to actively participate so that we may achieve this goal.